It’s been just over nine months since I reviewed Dead Pixels, the #2 game as of this writing on the Indie Gamer Chick Leaderboard, and the former king of the mountain. Despite really enjoying my time with the game, I never really got around to playing the two extra modes that launched months after its release. With less than two weeks to go before my first anniversary as Indie Gamer Chick, I figured I should finally take a look and see if the content would be enough to elevate Dead Pixels back into the #1 spot on the board. Of course, my expectations that it might do just that were somewhat dashed by the developer outright telling me that it would not reclaim the spot. 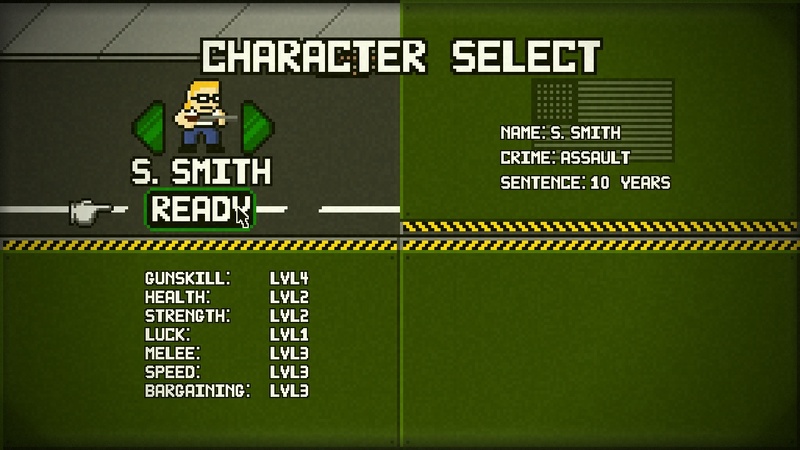 You get more characters to choose from in The Solution, all of whom have been bad little boys. Lord knows that when you have an emergency situation, the only solution is to send in hardened criminals to do all the heroics. I know how it works. I saw Pitch Black too. He wasn’t being coy. In fact, he’s right. The two new modes of Dead Pixels are swell extras, but they ultimately add nothing to the experience. First up is The Solution. It’s kind of like a survival mode, where you have to run X amount of streets (depending on the difficult level) and then back again. You have even more limited resources, and the city is vacant so there are no humans to negotiate goods with. You can still loot empty buildings for goods, but you don’t want to get bogged down by carrying too much weight. I had that happen to me when I played the main quest, and I think I would have moved faster if I had waited for plate tectonics to push me to the goal. I ended up carrying only the default shotgun, and only stocking up on shells for it. If that doesn’t sound like the most exciting way to play the game, that’s because it wasn’t. I ended up just holding down left and avoiding enemies. This did come in handy on the final part of the “walk left” section of the game, when the lights started flickering on and off. Due to my epilepsy, this was a high-risk section of the game for me to play. I decided to walk up to the top of the screen, hold the stick left, and not do anything else. Boring but effective, because it worked. However, this mode proved to be dull, and not really worthy of the excellent main game. Last Stand worked better. 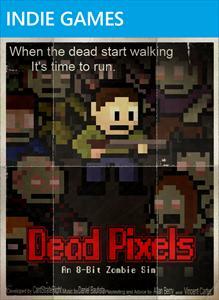 It’s a wave shooter where you play as a couple of twats named Hurley and Nate (no joke) as they lock themselves in a mall with a bunch of zombies. I doubt they would actually do something like that, because I know I wouldn’t do that. Since they exist only to steal my ideas, their zombie plan would probably involve some kind of elaborate suicide, because that’s what I’m going to do. If the zombies attack, I’m going to kiss the end of a shotgun that has bullets soaked in cyanide while wearing a vest made of dynamite and the timer set for five seconds from now. I am taking NO chances of surviving the outbreak. Among other things, I never see a working Taco Bell in these games or movies, and I will be damned if I’m going to live out the rest of my life without a Chulupa. I ended up playing as Hurley. And no, that doesn’t mean I ended up with blisters on my hands and a craving for bacon. It’s just a game, not a transmorphic body swapping thingie. So Last Stand. The wave shooter part. Well, you shoot a bunch of zombies and they drop money. Then between waves you can upgrade your stats, buy different guns, more ammo, health kits, etc. 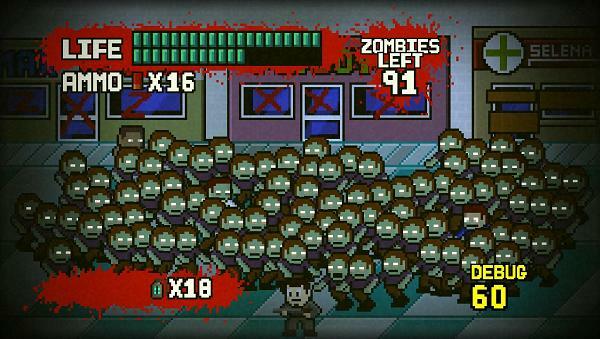 Every round the zombies grow in numbers. That’s pretty much it. This mode is more fun, but then again I’m predisposed to enjoying wave shooters, which is why such a game could overthrow Dead Pixels for the #1 spot on the leaderboard in the first place. However, I didn’t love the wave shooting mode the way I did the main campaign. Part of that is there’s no online leaderboards to show off how far you’ve made it. But it’s mostly because I already got all the value out of Dead Pixels that I could. The game rocked in single player mode, rocked harder in co-op (even if Brian didn’t like the game as much as me and thought I was out of my mind for putting it #1 in the first place), but its time has come and gone. Dead Pixels is still an amazing game and will probably hold onto a high spot on the leaderboard for a long time to come, but I’ve moved on. Granted, what I moved on to has been mostly inferior games, negating my point. I’m just going to shut up now and leave this review. Buh-Bye. 80 Microsoft Points have an alternative zombie plan, but it requires duct tape and a steamroller in the making of this review. You know, this is a hell of a coincidence, as I was just telling Nate the other day, we should really do a ‘Second Chance with The Fish’ piece for Dead Pixels. Totally our idea, with no outside inspiration whatsoever. And then you post this. Really strange, huh? Wha? Is Kairi “The Fish”? Some kind of pet name? Gear-Fish.com, get it? They steal my ideas. Playfully. (we really all love each other very much. Ever see Care Bears? Totally based on us). Oh, I’m dense. Though I’m slightly sad to hear there won’t be an upcoming site called “IndieGamerFish”. I’m keep my fingers crossed for Kairi’s upcoming circus industry blog IndieTamerChick.com and the Edmund McMillen phobia support blog Fear-Gish.com. Two points for Al on that one. Very clever.